Around the world there are many different types of cultures and one of the best ways to experience their diversity is the food habits. There are dishes in the world which most people would never dream of eating but it is a normal food or even a delicacy for the local people. They can have the vilest taste and odour possible and you may be surprised that people eat it. You need to have a strong stomach to eat something like that and not barf on it later on. Some may take it as an adventure and brag about it to their friends and relatives. We all know that person who went to Vietnam or some place similar and ate a cobra, well if you can do that and not throw then you have earned your bragging rights. Here's a list it will take a book to cover all these delicacies in the world and how they are prepared, but here are some of them. Bon Apetit !! This plate which may seem delectable is actually live octopus, which is eaten whole or in small specimens considering how big your catch is! 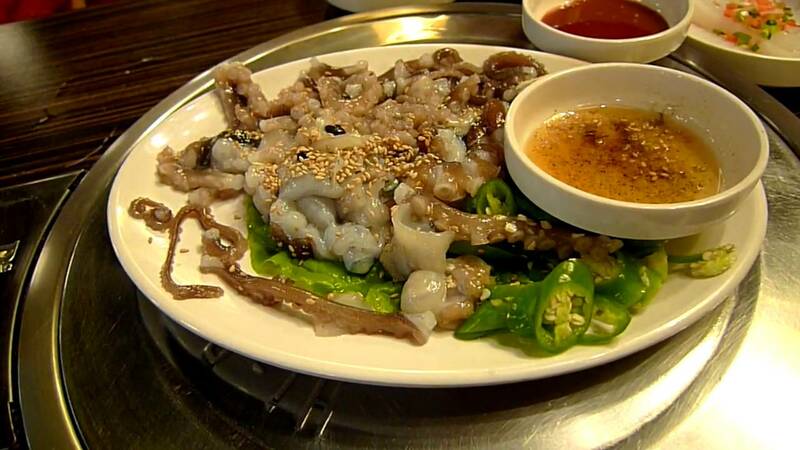 A delicacy from South Korea.